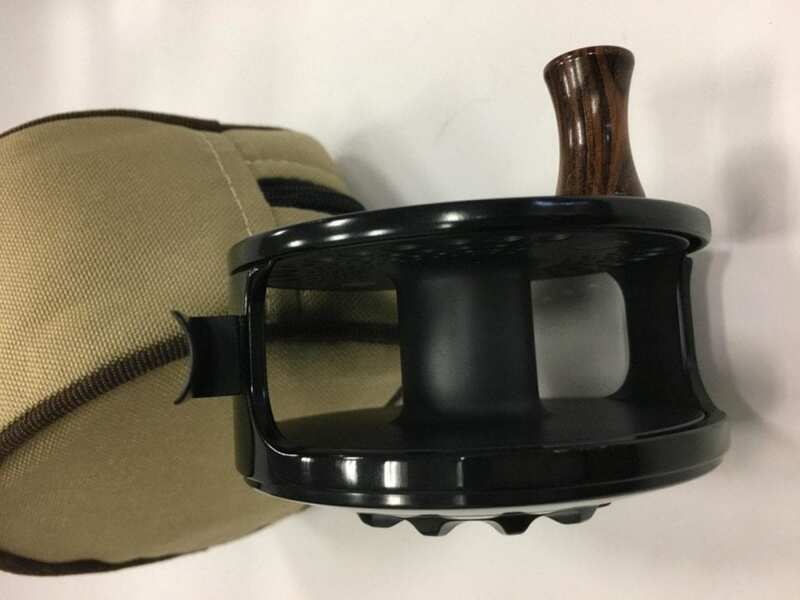 Description: The Thinn Line and Thinn Line Elite reels were internally the same as the Signature Series, though externally they were slightly different. The major difference was the size of the drag knob in the Thinn Line and Thinn Line Elite series, smaller than the Signature Series drag but still maintaining the 360-degree rotation that all Charltons were known for. 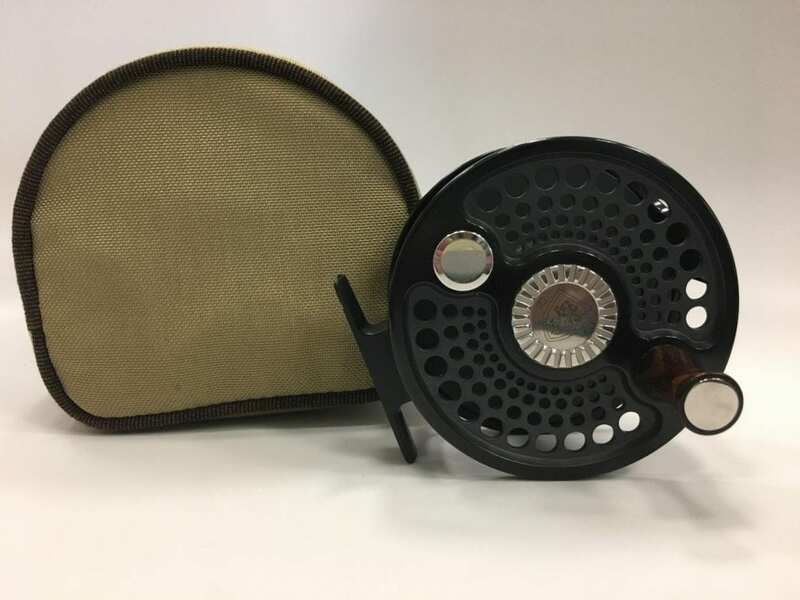 The Thinn Line series was anodized with a matte finish (incidentally, all of Judy’s personal reels were matte) and the Elite models were the same but the matte finish was hand-polished to the gloss type III finish that became a Charlton trademark. 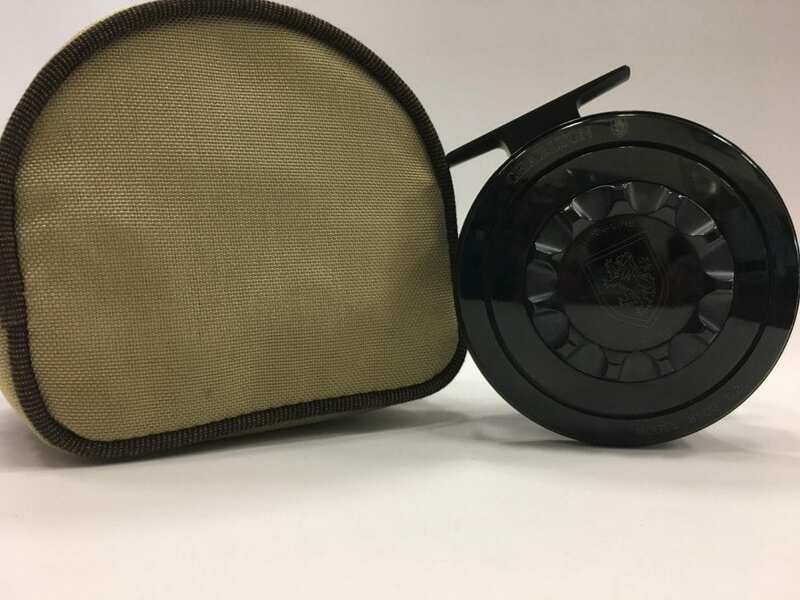 This reel is an example of the 1.2 inch width in the rare Elite series, and features a cork drag and ¼” drive. It also is being sold with a spare spool in its own original Charlton bag.